Now winter seems to have made an appearance, I'm trying to finding warm, healthy breakfasts to start the day. Porridge and warm Weetabix are my easy go-to choices, but Chunk can get bored so I've been looking at ways to spice breakfast up a bit without using sugary cereals. I've been sent some Ready Brek to try out and I was surprised to see there's a lot that can be done with it. 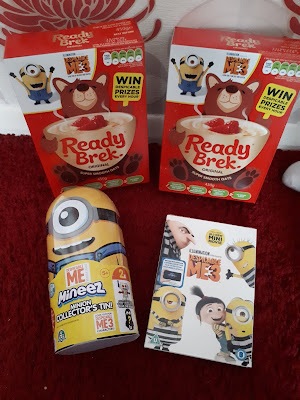 Ready Brek is thankfully a very easy and quick breakfast to make in the mornings while I'm rushing around getting Chunk and I ready for school and work. It's also nutritious and designed to give you long lasting energy which is perfect for my son to get through a morning of hard concentration at school. One of my favourite things to do with it is to mix it with homemade granola dust, which only contains natural sugars from dried fruits. It contains a little bit of pure cocoa powder as well as a range of nuts which help to boost brain function and energy. I use the Jamie Oliver granola dust recipe from one of his books and it's so easy; You just bake it for a few minutes and then blend it and it lasts for weeks! 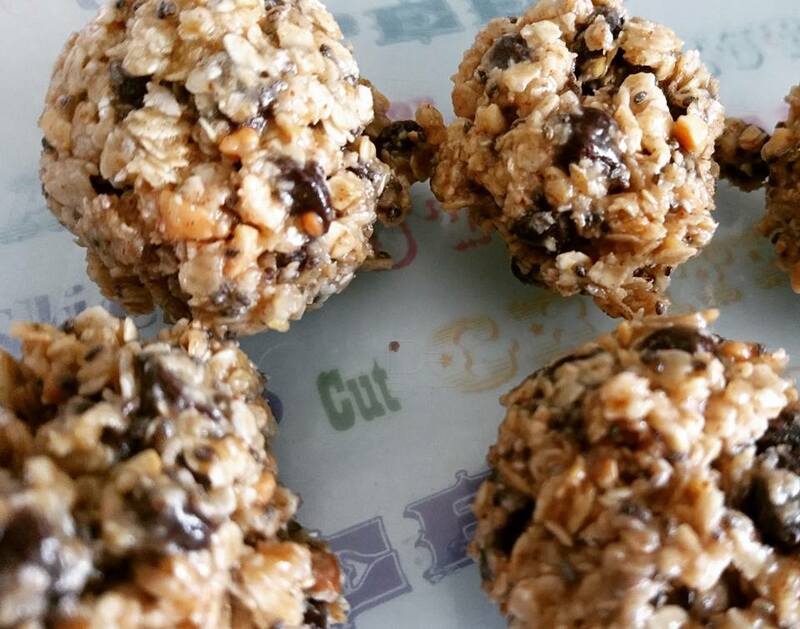 As well as a standard breakfast, Ready Brek can be used to make some interesting healthy breakfasts and snacks! Chunk and I have tried smoothies using fruit, milk and Ready Brek, as well as my no-bake energy balls which can use either Ready Brek or standard oats. Ready Brek comes in a range of flavours including chocolate, honey, seriously oatey as well as their original flavour. 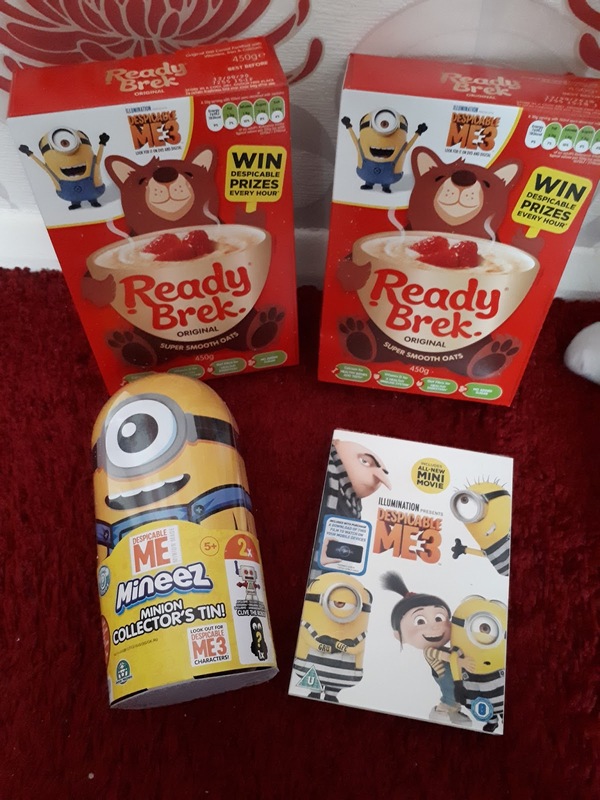 At the moment packs are giving you the chance to win Despicable Me goodies due to the launch of the new Despicable Me 3 film on DVD. I tend to post a lot of my recipes on my Instagram page, so have a look for more ideas, and if you have any ideas please comment below as I am always on the look out for new things to try! A sample of Ready Brek was sent for testing for the purpose of this review. Ready Brek is available at all good supermarkets and food stores. All opinions are honest and my own.